beyond 4 Earth radii and especially beyond synchronous altitude, 6.6 Earth radii, the perturbations are sufficiently large to render the harmonic expansion model invalid. Perturbations to the Main Field. The primary source of geomagnetic field perturbations is the Sun. 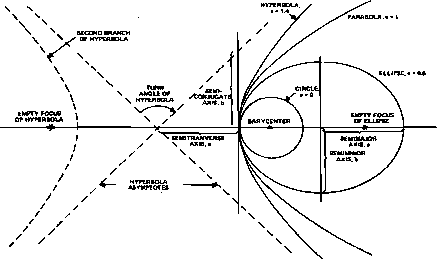 The Sun constantly emits a neutral plasma called the solar wind, described in Section 5.3. The action of the solar wind is to distort the Earth's field at high altitudes (8 to 10 Earth radii) so that the multipole description of Eq. (5-5) is no longer valid at those altitudes. Because the plasma is highly conductive, it will not allow the Earth's field to enter it. Thus, the plasma compresses the field ahead of it until the plasma energy density equals the magnetic field energy density at a distance of about 10 Earth radii [Haymes, 1971], At that point, the plasma breaks up so that some of the charged particles are trapped in the magnetic field. Other particles slip around the field and drag the field lines along as they pass the Earth, as shown schematically in Fig. 5-6.